respectively. 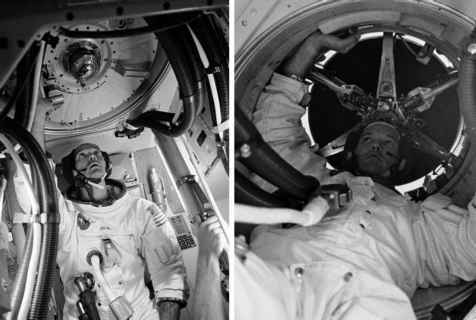 The final Apollo flight was also to Earth orbit as part of the Apollo-Soyuz Test Project in 1975, again using a Saturn IB, when an American Apollo and a Soviet Soyuz spacecraft met and docked in space as a political act of detente, thereby ending the 'space-race' amicably. The two remaining Saturn Vs were turned into lawn ornaments.